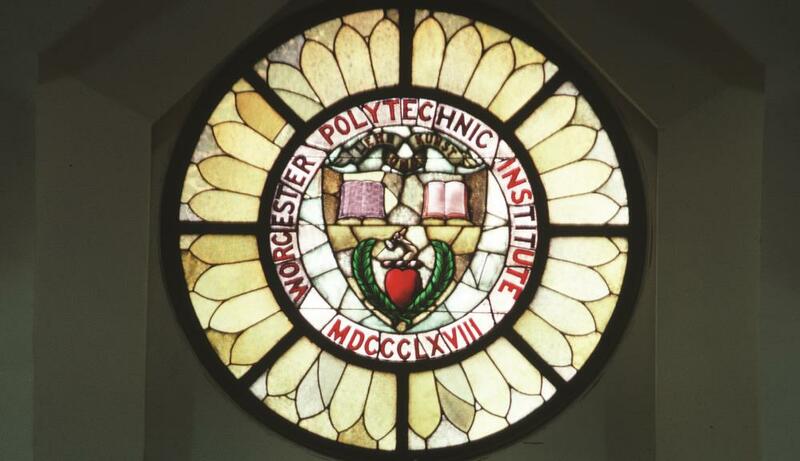 Worcester Polytechnic Institute (WPI) today recognized seven members of its academic community during the university's annual Honors Convocation. The awards honored six faculty members and a graduate student for outstanding teaching, research, advising, and contributions to the community. Edward A. Clancy, professor of electrical and computer engineering and director of the Laboratory for Sensory and Physiologic Signal Processing at WPI, received the Chairman’s Exemplary Faculty Prize. The prize, in the amount of $10,000, recognizes WPI faculty members who excel in all relevant areas of faculty performance, including teaching, research and scholarship, and advising. The tradition of awarding the prize was established in 2007 through the personal philanthropy of Donald K. Peterson '71, then chairman of the WPI Board of Trustees. It was continued this year by current board chairman Jack T. Mollen. Clancy is an internationally recognized expert in applied signal processing with biomedical applications. Much of his work has focused on electromyography, or EMG, a way of measuring the brief electrical pulses emitted by skeletal muscles by using electrodes placed on the skin. As principal investigator or co-PI on grants totaling nearly $8 million, he has explored the use of EMG to control powered prosthetic limbs, to control the timing of muscle activity in stroke rehabilitation or in patients suffering from ALS, and to acquire data on muscle activity for a variety of other scientific and medical applications. This research has produced more than 80 peer-reviewed articles in top biomedical journals and conference proceedings. He is also recognized as an engaging lecturer and innovator who has brought an active learning approach, particularly with the use of guided lecture notes, to several of his courses, and as a project advisor who engages undergraduates in the rigors and excitement of real-world research, even as he demands the best of each project team he advises. With a BS in electrical engineering from WPI and SM and PhD degrees from MIT, he has taken an active role in serving his profession, for example as a member of the executive council of the International Society for Electrophysiology and Kinesiology and a senior member of IEEE. Natalie Farny, associate teaching professor of biology and biotechnology, received the Board of Trustees' Award for Outstanding Teaching. Established in 1959, the award recognizes faculty members for excellence in teaching coupled with outstanding professional contributions. Farny’s award citation noted that she is a caring educator who “is more than willing to go above and beyond to help her students grasp the concept at hand,” and her work as a teacher and advisor is a model for her faculty colleagues. The advisor for many undergraduate projects, she was instrumental in engaging WPI students in the annual iGEM competition, a global synthetic biology program that challenges students to create biological tools that work within living cells to produce a desired product or process. She joined WPI in 2013 after earning a PhD in biological and biomedical sciences from Harvard University and serving as a postdoctoral researcher in molecular biology at the University of Massachusetts Medical School, where she studied the underlying molecular pathology of fragile X syndrome (FXS). ​Soussan Djamasbi, associate professor in the Foisie Business School and director of the User Experience and Decision Making (UXDM) Research Laboratory at WPI, received the Board of Trustees' Award for Academic Advising, which recognizes the important role that academic advisors play in guiding and mentoring students through stages of professional and personal development. Recognized as an excellent advisor, Djamasbi puts WPI’s mission into practice by bringing out the best in her students and sharing her passion for her field, according to her award citation. An inspirational leader who can motivate others to work hard, she is also recognized by students as a valued and influential mentor who goes the extra mile to help students realize their professional goals. As one of her advisees noted, she “helps us be the best we can be and helps to kindle a love of learning.” An expert in user experience and design, decision making, and eye tracking, she holds a PhD from the University of Hawaii, Manoa. Arthur C. Heinricher, professor of mathematical sciences and dean of undergraduate studies, received the Denise Nicoletti Trustees' Award for Service to Community. Established in 2003 in memory of WPI’s first tenured female faculty member in electrical and computer engineering, it is presented to a member of the faculty or staff in recognition of passion and action in serving the needs of a community. A member of the WPI faculty since 1992, Heinricher has worked selflessly to improve the quality of education at WPI and to continually measure its success through outcomes assessment, which he views as positive mechanisms for continuous improvement of higher education, according to his award citation. For example, in 2012 he managed the process of securing the renewal of WPI’s accreditation by the New England Association of Schools and Colleges (NEASC). He has been at the forefront of efforts to advance the WPI Plan, WPI’s project-based undergraduate curriculum, for example by helping guide the creation of the Great Problem Seminars. His contributions to curricular innovation and excellence in project-based learning were recognized in 2016 by the National Academy of Engineering, when he was one of four faculty members at WPI to receive the Bernard M. Gordon Prize for Innovation in Engineering and Technology Education. Heinricher holds a PhD in mathematical sciences from Carnegie-Mellon University. ​Renata Konrad, associate professor in the Foisie Business School, received the Romeo L. Moruzzi Young Faculty Award. Presented in memory of a longtime faculty member in electrical and computer engineering, the award recognizes innovation in undergraduate education. Konrad was honored for her work to integrate real-world projects, conducted with industry partners, into an undergraduate course on simulation modeling and analysis. The innovation was motivated by conversations with graduates who said they struggled to model complex problems they encountered on the job. In one offering of the course, student teams have evaluated lab services at the Dana Farber Cancer Institute and proposed solutions to alleviate long patient waiting times. An expert on the design and application of healthcare resource allocation problems, she earned a PhD in education at Purdue University. Matthew Ryder, a graduate student in mechanical engineering, received the Teaching Assistant of the Year Award, which recognizes the contributions graduate students make to the quality and success of WPI’s undergraduate curriculum. Described in his award citation as “conscientious, thorough, approachable, open-minded, and fair,” he is noted for having the right mix of creativity and technical knowledge to design, set up, and test experimental labs. Faculty praised Ryder for attending every meeting of the 11 courses he has been assigned to, so he could “be in the best position to provide guidance to the students,” and students said they appreciated his mentorship and guidance and his ability to treat everyone with respect and understanding.